Zabbix is one of the most popular monitoring solutions available on today's market. Its high performance, rich functions and proven reliability is well ahead of many competitors with open-source and proprietary products. Given that total cost of ownership is much lower compared to other solutions, requests for Zabbix professional consulting, advice, support and training arrive from around the world. Reseller is a company that engages in the promotion and re-sale of Zabbix services. Reseller’s primary task is to find a lead, present and promote Zabbix product and services, consult the lead on best suited solution, and arrange signature of the contract, while Zabbix will actually provide the selected service. Certified Partner, besides the right to promote and re-sell Zabbix services, is officially authorized to deliver selected Zabbix services and solutions. The partner benefits from keeping a very close contact with the customers at all times and thus is able to sell other value added services to the customer along with Zabbix services and create a stronger attachment to customer. While Premium Partner has the same authorization to promote, re-sell and deliver Zabbix services and solutions, this highest partner status is testament of special knowledge, skills and experience, as well as the capacity to participate in sophisticated projects related to Zabbix solution implementation, integration and support. The Premium Partner status is assigned by Zabbix only to those partners that meet a special benchmark in providing Zabbix services and are able to prove high proficiency of personnel about Zabbix solution. Zabbix has more than 100 partners located in North and South America, Europe, Asia and Australia. This number continues to grow. Axel IT offices are located in France, Switzerland and Cameroon. Company offers to its customers personalized services with high value to meet their business demands. Axel IT core business is to support and enable Infrastructure and Data Center initiatives, offering solutions to optimize information systems through four activities: Business solutions integration, Organizational consulting, Technical assistance/support and Training. Company works on a national and international scope around specific services such as expertise and technology consulting, integration and deployment, IT Operations and infrastructure consolidation. The core business of Frequentis are highly-available communication and information solutions for the civil air traffic management market. Frequentis has continued to expand its portfolio and evolved into a provider of complete solutions with outstanding competence in integration: a supplier that delivers both standard products and customized solutions. The core activities of Frequentis in civil air traffic management are end-to-end communication systems, tower automation systems, ATM information systems and value added Front-Ends. The company’s comprehensive product range covers all the central requirements of air traffic management. Grupo SIA is an international company with head office in Spain, which was founded in 1989, dedicated to offer solutions in the area of Enterprise Computer science. SIA has offices in Spain (Madrid, Barcelona) and Portugal (Lisbon, Oporto). Grupo SIA combines technological consultancy, systems of integration and services managed in four specialized areas of business: Security, Storage & Communications, Management IT and Mobility; and it`s keys to success are highly qualified employees, strategic alliances with technological partners leaders in the sector, as well as flexible adaptation to the requirements of clients. INFOCOM provides a list of IT solutions such as planning, development and consulting for information systems for a variety of customers including mobile phone carriers, general consumers, government and other public offices, education and research organizations, medical-related organizations and companies, or the like. It also offers IT services like providing content to mobile phones, or undertaking operation and management of numerous information and communication systems. ITMS’ growing managed services portfolio includes globally standardized managed services products for automation, network and server build and monitoring, backup and recovery, disaster recovery, data centers and security. ITMS also offers custom managed services based on specific requirements of their customers, delivered through ITMS’ IT outsourcing capabilities. The company is constantly building their list of standardized services through the skills, experience and methods they gain over time. “We chose Zabbix because it offers true, open source performance monitoring, easy implementation and configuration as well as endless scalability,” says ITMS CEO Chris McKenna. Linux® Polska is a Polish IT company founded in 2009. We are experts in open source technologies in the Polish market and the CEE region. We provide consulting, auditing, implementation, integration and maintenance services. We specialize in developing and implementing solution, system and application architectures based on open source technologies. Alongside our own services, at Linux Polska, we also provide information technologies in collaboration with the global IT leaders such as Red Hat, EnterpriseDB, Splunk, Docker, Hortonworks, Microsoft, Puppet, Suse, Oracle, DataStax, Zabbix and Canonical. Our technology offering is supplemented with training services. NTT Com Solutions gives full support for every stage of ZABICOM Operations - from initial consultation, installation, to system operation. ZABICOM is the trademark of Zabbix within Japan. Trademark rights belong to Zabbix SIA, Latvia. Quadrata provides a wide range of IT related services to small and medium size businesses in Italy. From very simple to very complex problems, Quadrata delivers reliable and cost-effective solutions to satisfy every customer need. With over 15 years of experience in IT sector Quadrata offers a vast range of services to satisfy every consumer requirement - long or medium term. S&T Slovakia focuses primarily on the areas of IT and business consulting, implementation and support of SAP solutions and deployment tools for Business Intelligence. The company provides all kinds of services from procurement to the planning and realization of complex network, storage and security solutions, and solutions for virtual data centre operations, as well as services in the field of Cloud Computing. S&T Slovakia has many years of experience in implementing IT infrastructure management solutions for large environments with a large number of servers, active network components and equipment. Zabbix is part of a rich portfolio of offered solutions, which is provided as a service or as "on-premises" implementation in the customer environment. SRA OSS provides total services for OSS (opens-source software). SRA OSS is highly specialized in OSS middleware and supports its customers technically through support, consultation, training and so on. For Zabbix, the company provides support, implementation consulting and implementation service. 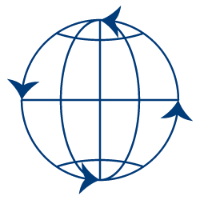 Systematica is a subsidiary of Finmatica, a group that worked in the IT market since 1969. At present more than 250 people are employed in the group’s companies. The group offers the most comprehensive suite of information solutions to the local government and to the healthcare organizations. Systematica designs and manufactures solid and secure network infrastructure, constantly monitored to ensure continuity of service. It also provides additional tools in order to comply with local law regulations and pro-actively detect possible issues. Founded in 1999 Unirede Soluções Corporativas is a consulting firm that delivers technology solutions to growing businesses. Powered by Unirede, customers and partners are able to leverage the use of technology to focus on their core business and realize their goals. 4iG Plc is a leading Systems Integrator in the Hungarian market with close to 30 years experience. The focus of the company is managed IT services for large and medium enterprises and public sector organizations. 4iG offers standardized and customizable services including monitoring, security consulting and integration, 24x7 helpdesk, infrastructure and application specialists. Affirmed Networks delivers fully virtualized 5G Webscale mobile core solution which supports both vEPC and NG Core. Built on a cloud-native, microservices architecture, Affirmed’s solution capabilities include: 5G NR, CUPS, Network slicing, Integrated virtual probes, Optimized IoT access(NB-IoT/LTE-M/SCEF), Virtualized DPI, GiLAN, analytics and security services, virtualized WiFi (ePDG and TWAG), and Service Automation (Affirmed Service Automation Platform). The company’s solution is also the first and only in the market to offer hosted vEPC solution on a public cloud leading the way for mobile network as a service offering. Affirmed’s vEPC provides a complete evolved packet core (EPC) solution that runs on a single, virtual network function (VNF) instance for high performance, scalability, and cost-effectiveness. Proven in more than 90 networks, Affirmed’s solution enables operators to economically scale networks, deliver differentiated services tailored to specific use cases covering Consumer, IoT, MVNO MNO, MVNE, Private LTE, WiFi, GiLAN, CUPs, VoLTE to Fixed Wireless and take advantage of 5G capabilities today. ALDABA is a Spanish IT professional services Company. Our main working area: Design, Deploy and support complex IT environments. Zabbix is our choice to monitor and measure the behavior of our customer’s infrastructure. We are providing support and specialized IT services to several Spanish customers using Zabbix. Allenta specialists have experience in Zabbix solutions design, integration and administration in large environments. Service provision is not bound by location: apart from meetings in person, specialists are used to work remotely. Allenta understands – response time matters much more than geographic proximity. Aplitt delivers high-quality IT services for business, especially for financial institutions. The company prides itself with its Software Development services, while maintaining a vast array of services containing, but not limited to: Process Management, Call Center, Data Center Service and, of course IT Monitoring. During years of operations, Aplitt has earned the trust of over 80 clients. ARK Systems Co., Ltd. is a professional company which established with Kobe Steel, Ltd. and RECRUIT CO.,LTD. its parents organizations. 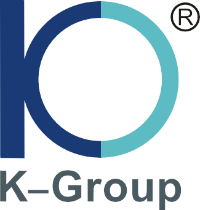 Through constructions of a mission-critical systems and operations of the large-scale centers, ARK Systems gained a high reputation for "System management", "Operation management" and "System construction", which are the key services for enterprise-class systems. As a member of CAC Group, ARK Systems provides solutions for that are covering IT life cycle from development to operation. Based on the cultivated know-how about operation and monitoring through the support and knowledge about Zabbix, ARK Systems provides low-cost and speedy "Zabbix installation service" and low-cost Q&A support after installation. This service is good for the companies that monitor and operate system by themselves. ARK Systems also provides self-study package to study environment construction technique for Zabbix beginners and people who are anxious about system operation. ASPL Info Services is a specialist provider of Infrastructure Management Services and Managed Security services to clients globally. We enable the IT Operations team of our clients with the right processes, people & technology to ensure high availability of the IT infrastructure and optimize the cost of IT operations. Since 2001, ATS Group has positioned itself as a recognized leader and trusted advisor for businesses who are serious about digital transformation. ATS supports customers by providing expert services centered on the complexities of the next-generation data center. With over 75 industry certified professionals, the company supports a wide range of industries including SMBs, Fortune 500 enterprises, government agencies, and educational institutions. As experts in today’s prominent technologies, ATS focuses on evolving technologies that operate mission-critical systems on premise, in the Cloud, or in a hybrid environment. Beijing Deliver Service IT Co.,Ltd (hereinafter referred to as Deli Assistant) was established in October 2013 with a registered capital of 30 million yuan. Its predecessor was the IT Management Department of China Software and Technology Services Co., Ltd. Through more than 10 years of industry accumulation and rapid development after independence, the right assistant has become the first-class IT operation and maintenance management and system integration service provider in China. The company focuses on providing products, knowledge and personnel in one professional operation and maintenance services for large and medium-sized data centers, so as to make the operation and maintenance process, standardization, automation and intellectualization of data centers. Since its establishment, the company has obtained the certificates of ISO20000 information technology service management system certification, ISO90001 quality management system certification, ISO27001 information security management system certification, national high-tech enterprises, Zhongguancun high-tech enterprises and other qualifications, and obtained the support of Beijing Science and Technology Commission Innovation Fund. At the same time, the company innovative products DELI-TM (Business Performance Monitoring System (BPMS) has been approved by IBM, an international IT giant, and signed the OEM agreement. Beijing Tecverd, a subsidiary of Dalian Tiangang Group in China, has 10 years of experience in IT operations management field providing customized solutions for their clients mainly from finance, banking and retail industries. The company specializes in operations management, infrastructure design, data center technical support, system integration, disaster recovery, virtualization and cloud computing, assisting their clients in adapting to sophisticated and complex IT environments. The customized solution based on Zabbix is designed and implemented for their customers, and contributes to their customers business environment. Xiaotong HongZhi, a subsidiary company of Xiaotong Network - one of the most distinguished network distribution companies in China with 18 branch offices throughout the country. Xiaotong HongZhi focuses their business on network services including network design, maintenance and technical support, network service outsourcing and assessment. Moreover, the company offers network engineer certification training courses. Canon IT Solutions Co., Ltd.
Management innovation utilizing IT infrastructure is attracting attention. On the other hand, information security measures and the cost burdens of operating and managing systems are also pressing issues. Canon IT Solutions not only provides IT infrastructure using a multivendor approach that gives high returns on investment, but also meets customers’ diverse requests with system operations services, cloud services, and data center services, centered on our advanced Nishi Tokyo Data Center facility, so that customers can make use of safer systems with greater reassurance. Since our establishment in 1985, we have gained a lot of achievements in system integration, mainly in financial,telecommunications, medical, manufacturing, distribution, retailing, service and open systems. In addition to the system integration business, we have developed our services covering the design, construction,and operation of IT infrastructure such as introduction of servers and clouds, and provide a one-stop service to customers. We proceed with the provision, construction and operation service of the monitoring system using Zabbix,based on the achievement in building monitoring system accumulated through construction of IT infrastructure in various large and small enterprise environments all this time. Collaboration system Co., Ltd. is a company that mainly provides software development for universities and construction services for IT infrastructure. As its core, we officially launched the construction and support of an integrated monitoring environment for IT infrastructure using Zabbix. We are good at building Zabbix environments that can utilize the IT infrastructure related technology for many years, construct a monitoring environment, and can detect security incidents at an early stage. We will strive to build Zabbix environments closer to customers, and provide support services with reflecting their real opinions. CONVX GmbH is a constantly growing Solution Provider and Consulting Company with the principal aims on affordable, easy to use IT Infrastructure in SME, Automotive Industry and Service Provider segments. CONVX successfully supports its clients in south Germany to run their converged IT infrastructure and applications. CONVX is using Zabbix in all IT segments above to monitor Voice over IP, Virtual Machine, Network and Wireless performance. This professional and affordable Monitoring Application is now being one of the company’s secrets of success in client implementations. "Big thanks, Zabbix!". Cool Monitoring is a French monitoring expert company, working mainly in large environments. Coming from HP Openview world, we have implemented Zabbix in major accounts (Bank, Press, Food Industry) up to 17 000 servers. Thanks to our wide experience with different monitoring tools and our past responsibilities in the spheres of systems and networks infrastructure in major accounts, we securely manage your project up to production. CROSS HEAD provides a wide range of IT services to companies in Japan. The company offers virtualization and mobile business solutions, operation management and monitoring. 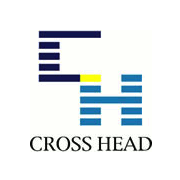 For several years CROSS HEAD was using Zabbix as a number one choice of monitoring solution for their clients. Among company’s customers are many system integrators and businesses from financial and security industries, as well as major electric companies in Japan. CTC System Management Co. Ltd.
Daiwa Institute of Research Business Innovation Ltd. provides high quality and highly-dependable information system services to wide range of customers such as financial institutions like brokerages, banks and insurance companies, general business companies like telecommunications and retails as well as civil services and local governments. The types of services are characterized by one-stop total service which include information system utilization, system consulting for IT strategy formulation support, system integration from system design to implementation and support for large core system and datacenter service which assume to system operation, management and improvement. As a neutral system integrator, Daiwa Institute of Research Business Innovation provides services with optimum combination of hardware, software and service. Daiwa Institute of Research Business Innovation actualizes optimum system operation with customizing and integrating Zabbix’s brilliant functions and services with other OSS. The DATASYS company has had extensive experience in implementing systems for IT environment monitoring and management. Our solutions are based on many reliable commercial and open source network management systems, and Zabbix is among them. Specialized consulting in Infrastructure Monitoring and Software Development tailored to the customer. We focus on offering solutions in balance with the Contemporary Design of User Interfaces,and the adequate functionality to meet the needs of our customers. East Japan Accounting Center Co., Ltd.
East Japan Accounting Center Co., Ltd was established in 1965. Since the company formation, it has responded to development and change of information technology, by diversifying its appeal from host machines to WS, C/S, PC to embedded field. East Japan Accounting Center has also expanded its business area with a business systems field; engineering field, based on large control systems and embedded; IT infrastructure field, based on network and security; BPO field utilizing datacenter operation and regionality. East Japan Accounting Center is aiming to respond to the demands of the times, helping customers and the society. eGroup designs and implements solutions based on different technologies, systems and applications. eGroup manages the technical infrastructure of information systems with the maximum data protection and resistance to their loss. The result is a highly available, reliable and secure IT infrastructure for the customers. eGroup also provides high added value for business partners by their knowledge of IT technologies of strong technological leaders: IBM, HP, Oracle, EMC, VMware, Microsoft. Our team has an extensive experience in infrastructure design, implementation and the following high availability support services, storage and backup strategies, virtualization and cloud computing, ICT infrastructure management, system monitoring together with a service desk integration. Equinix Technology Services KK provide the outsourcing service of “integrated operations management” for the customer’s various IT systems in different environments, such as on-premise environment/external data center/public Clouds. Regarding Zabbix as open source software (OSS), we can provide 24/7 manned operation over Zabbix operating in various environments. Without any impact incurring on newly installed Zabbix operation or on the customer’s existing Zabbix operation, under this service we can only perform the operation required by the customer on behalf. As Zabbix users have the holiday/night time operation team established, they are able to maximize the cost reduction effect which is one of several benefits that the customer can enjoy by Zabbix installation, and to further improve the quality of their daily IT system operations at the same time. FUJITSU SOFTWARE TECHNOLOGIES provides reliable products and services based on software development technology and system implementation and operation know-hows. The company makes effective use of cloud computing which is responding flexibly to changes in business and contributes to the realization of construction of new business and operational efficiency. The company provides multi-cloud monitoring services for monitoring customers system on Nifty cloud, AWS as well as cloud provided by Fujitsu, like FUJITSU Cloud Service K5, FUJITSU Cloud IaaS Trusted Public S5, FUJITSU Cloud A5 for Microsoft Azure. Future Architect, Inc. is a consulting service company, which provides best solution for each customer with full use of IT on the cutting edge. From its establishment in 1989,Future Architect has been providing business solution consultation and system integration with its strong IT, practical know-how and has solved customers’ business problems. Company realizes problems analyzing for whole system operation, enforcing consultation service for cost reduction and system quality improvement and cost reduction based on consulting result. Future Architect has implemented Zabbix as a recommended system monitoring solution into welter of industries such as 24/365 mission critical systems for financial institution, distribution industry, hospitality industry and so on, and has realized stable system operation at a low cost. In 2006, Florent PASERO, monitoring solutions expert, created his first company specialized in monitoring and meteorology. From startups and SMB's to Fortune 500 companies and governments, GAB6 helps IT and DevOps teams of all shapes and sizes break down the complex relationships between their IT infrastructure, applications, customers, and businesses. Knowing that only the quality of the user experience guarantees the satisfaction of the users (internal or external) and the loyalty to the company or brand, GAB6 supports all companies wishing to optimize their IT service management in France. Giz Bilgi Teknolojileri ve Danısmanlık Tic. Ltd. Sti. Carrying out many value-added projects in Information Technologies in Turkey since 2010, GizIT provides consultancy, professional service and training solutions particularly on monitoring, IT service management and system automation. Today, the company continues to provide value for its customers in different business areas. Hangzhou KC Information Technology Co., Ltd.
Hangzhou KC information Technology Co., Ltd. is a high-tech enterprise specialized in computer system integration and professional IT services, its business is mainly focused on the financial industry. The company is one of the leaders of AIOps in the Chinese marketplace. Established in 2011, Hatomi is an independent, professional company providing IT solutions. The company is focused on delivery of complex solutions based on Open Source, commercial as well as their own software. Its team of experts has gained professional experience working for leading IT and Telco companies on the Polish market. In 2013, Hatomi acquired 2DO S.C., which has over 11 years of experience in building business applications (Software House) proven with many solution deployments. Enjoying the benefits of Zabbix advanced functionality and free customization, plus their own monitoring and programming experience, Hatomi builds complex monitoring, covering fault and performance management, sophisticated automation tools and SLA reporting. 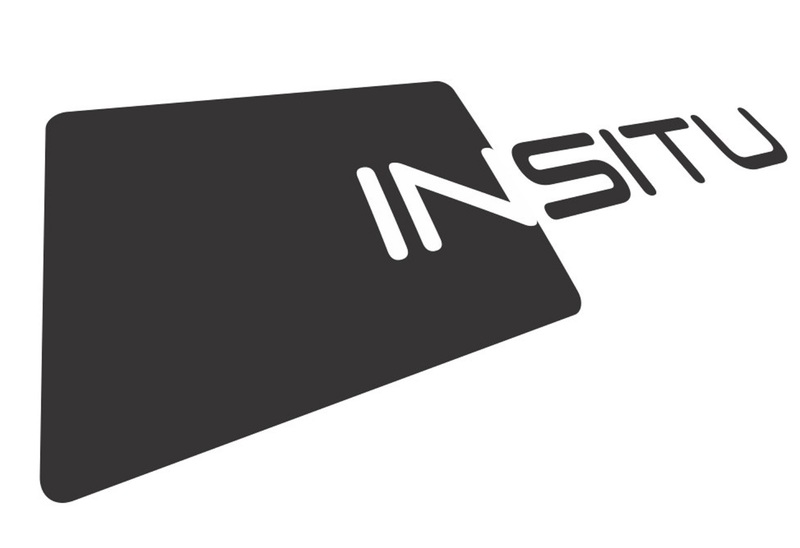 Imagunet is a leading Systems Integrator and IoT Solutions Provider based in Colombia. Company is primarily focused on business transformation by using the latest technology trends in realistic deployment models with real end-user value. Imagunet helps customers automate their infrastructure performance on both physical and logical fronts. Their Solutions Portfolio includes: Cloud Services, Predictive Maintenance, IoT, Connectivity as a Service, Training Services and Implementation Services. IM Fellows is independent ICT services company combining 40+ years of information management & technology excellence. The company is developing scalable ICT systems and optimizing customer services SLA by using the latest high-end technologies. Their mission is to accelerate the business of their customers by optimizing the IT throughput and performance. IM Fellows has a track record of decades, how to find solution for complicated IT bottlenecks and availability issues. InfoSense Corporation, currently employing 433 people (April 2015) since its establishment in 1989, has grown into a major information system developer and operating in Japan, China, Southeast Asia, the United States, Europe and throughout the world. Starting out as the information systems department of one of the leading logistics companies - Sankyu, InfoSense has an extensive experience in the area of international logistics information systems. 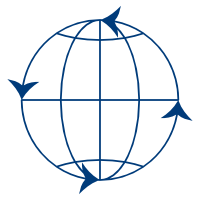 Integrated Global Solutions (Beijing) Co. Ltd. Integrated Global Solutions Limited (IGS) was founded in 2007. The comapny is dedicated to provide operational enhancement products, services and solutions to small, mid-size, enterprise level organizations and to the governmental institutions. The customer base has significantly increased since company’s inception. Customers are mainly located in Hong Kong, Macau and China. IGS assists organizations to manage their IT, all in order to be more aligned with business objectives. IGS provide IT solutions and consulting services to help IT organizations to achieve their business goals with the adoption of IT Service Managements ITIL Best Practice framework. IGS focuses on providing IT Service, Infrastructure, Asset and Security Management solutions (including software license, service and training) for clients in Hong Kong, Macau and China. IGS team consists of certified ITIL Service Managers, ISO/IEC 20000 consultants and ISO/IEC 27001 consultants who can perform the ITIL consulting, Security consulting, ISO/IEC 20000 implementation, ISO/IEC 27001 implementation, SOA, middleware/database consulting service and application development. Intellitrend GmbH is a professional IT services company with its specialists having extensive experience in all sectors of IT, from anti-virus and anti-spam installation to server virtualization. The company strategy is analysis–planning–consolidation. It is focusing on cost reduction through proven consolidation concepts, which include network monitoring as the key. Moreover, IIJ has built one of the largest Internet backbone networks in Japan that is connected to the United States, the United Kingdom and Asia. IIJ GIO Service is a high-quality cloud service that covers every service layer, from HaaS/IaaS to SaaS. It provides the IT resources used to create systems and offers these as components that can be arranged in over 1,000 configurations to create the most ideal system for a specific client and at a reasonable price. The highly secure and flexible network structure can be used to provide a wide range of system infrastructure, from on-premises private cloud environments to public cloud environments. IZI-IT delivers high-quality IT services including full stack monitoring, optimized for both small and large environments, by using either SAAS or implementing on-premise solution. IZI-IT can help you monitor your IT infrastructure and applications, as well as the impact on user experience and key business metrics. The company helps their customers simplify monitoring and troubleshooting with automated anomaly detection and contextual insights, so that they can act proactively on performance changes that impact their end-users or bottom line. Living now in an era of dynamic, constantly changing infrastructures that require new monitoring tools and methods, IZI-IT provides best practices for both sysadmins and developers. JLCP provides expert IT consulting. Besides deployment, company's portfolio offers training and technical support, custom development, dashboard and integration services. Addressing many different industries- from financial, data center and banking to food manufaturing companies, JLCP allows the customization of Zabbix solution for all types of businesses. Johokobo, Inc. is a company that deals with leading-edge products from foreign communication industries and provides high quality network operation solutions, including their support. Since 1992, the year of its establishment, Johokobo provides unique additional value focused on after-purchase servicing such as customizing, training and technical support using its expertise. Regarding Zabbix, Johokobo will provide high quality installation and support services. By combining our expertise in various software products and services, Ashisuto supports large enterprises in each field of information utilization, including operations, data base and business intelligence. KING ICT specializes in advanced information and communication technology solutions, ranging from highly specialized to those used by a large number of people in everyday life. The company offers solutions to increase the efficiency of the business environment, automate business processes, reduce costs through the optimization of infrastructure and facilitate decision making on the basis of reliable and timely information. KING ICT develops and implements new solutions in key ICT spectrums: Software Solutions, Infrastructure and Networking Solutions, Technical Security Solutions and Passive Network Solutions. kt ds is offering the best values to the domestic and global customers including kt, with the know-how acquired from a number of construction and operation experiences of kt’s systems, cloud computing and wire/wireless networks which is the largest environment in Korea. Specialized IT managed service for cost reduction and operation quality. Customized solution for the optimal ICT Environment. Total network service with wired/wireless-integrated environment. ICT consulting optimized for each customer’s businesses. Technical support and knowledge sharing from partnership network with open source vendors. QBS core business is to develop, operate and support mission critical systems for electric power companies that require high stability and reliability. With this key knowledge and expertise QBS provides solution services such as mission critical system integration and cloud services for companies and organization operating in different areas. 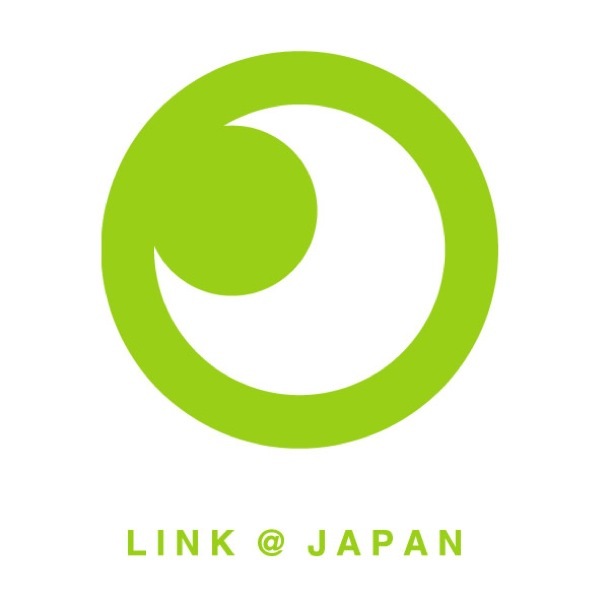 LINK AT JAPAN Co., Ltd.
LINK AT JAPAN is a Managed Services Provider offering monitoring operations as well as a wide variety of other IT solutions from system integration and Data Center services, including hosting and web development. Operation experts are available 24/7, so that customers are able to use offered services and contact support at any time of the day, providing stabile operation of customer’s system with minimum costs by employing LINK AT JAPAN’s know-how. LINK AT JAPAN never stops to build upon their knowledge and skills, constantly evolving and improving. Japan, 2004 - NEC have started support services for targeted OSS in the area of middleware as "OSS Middleware Support Service" for the customers incorporating Open Source Software (OSS) for the first time and for the customer who want to use OSS for confident System Integration & desire to have stable Operation. We are providing total support service for customer's System Lifecycle from pre-verification to Design, Deploy till Maintenance. Customers can also consider to expand the OSS in-use for their core business. In recent years, globally OSS based System Deployment in companies has increased. In NEC, to further promote OSS globally, we are strengthening our OSS based System Deployment and Maintenance Support Services by using our overseas subsidiaries. NEP provides the technology, the people and know-how to enable clients to produce the worlds’ biggest live and broadcast events around the globe. The company is the leading worldwide provider of outsourced production solutions offering technical services for remote- and cloud production, studio production, video display, host broadcasting, post production, media asset management, Digital Media Services and end-to-end OTT solutions. Netco Technology B.V. was founded in 1996 by two students and has become a valued service provider in the field of secure Internet. Netco Technology B.V. provides data traffic without interruptions or harmful side effects by designing, building and managing all the solutions for various large and small companies, both in the Netherlands and abroad. The answer is always simple - is a famous statement within the company. However, the way to the answer is often complicated and requires a lot of experience and profound up-to-date knowledge. 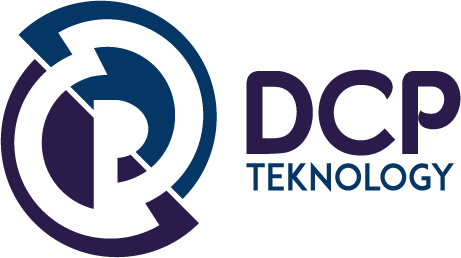 Techorus Inc. deploys IT infrastructure managed business called DATAHOTEL. Services for large environments which need thousands of servers. Alternatively　Techorus utilize its performance, Techorus provides wide range of cloud related services. NID is an independent information service corporation which has dealt with a wide range of fields including system development and information processing service as a basic concept "Creation of Humanware" since established in 1967. For 50th anniversary of foundation, we raised "There's no way we can't do this. (Dekiruwakearu)"as a corporate message to take a further leap and also for the future of the people and society. NID offers the following total services to meet customer's various needs for supporting their business promotions. Established in 1966, NSW provides for each industry one-stop services, such as: system development, large system operation and outsourcing with data centers. Taking advantage of this experience, NSW realizes cloud computing service that includes not only providing IT resources, but also data center solutions, such as: monitoring and operation, and wide range of support, including migration design and integration. Nisseicom aligns and combines Zabbix with other products to reach the best results in solving a customer’s operation problems. Nubiral is a business unit of SGIT group, and is exclusively dedicated to supporting the implementation of DevOps culture and the digital transformation through innovative processes and tools. 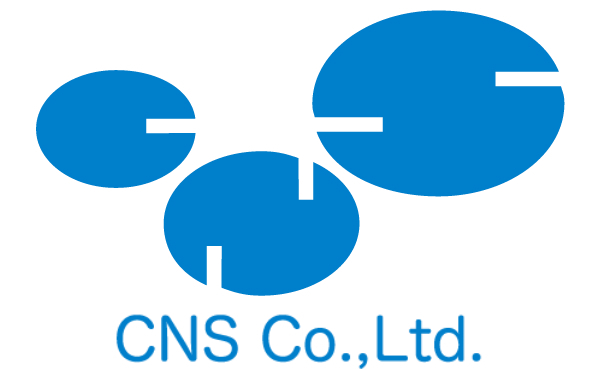 OGIS-RI Co., Ltd. was established in 1983 and is a system integration company. It provides total e-business solutions matched to each and every client. Company’s goal is to have an ability to provide its customers "total solutions" backed-up by the advanced capabilities in both technology and business. OGIS-RI is offering its customers seamless integrated solutions that include consulting, IT strategy development, and systems design, development, operation and management. Moreover, OGIS-RI provides a huge variety of IT services from education, consulting, maintenance, operation, housing, EC/EDI and helpdesk to SaaS and PaaS. With predictive analytics technologies like machine learning or forecast and real time data analysis, OpenSolutions offers operational analytics and monitoring solutions that help companies to improve the visibility of services and business processes and increase productivity, improve operational efficiency and reduce maintenance and management costs accordingly. 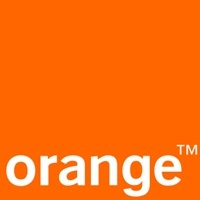 Orange Polska is one of the largest, dynamically developing Polish companies. It is the only telecom company in Poland that provides telephone services to all the regions in the country. It offers fixed and mobile telephony, internet and data transmission services to millions of its customers across the country. The company also delivers specialized services in the field of radio communications, paging, radio-broadcasting, and communications dispatcher. Panasonic Solution Technologies is an ITC solution provider with a B2B cloud in the Panasonic group. The company implements highly reliable system environments with outstanding performance and availability in mind, using software such as the self-developed search engine, OCR technology and integrated content management, as well as education and mobile solutions. PERSOL PROCESS & TECHNOLOGY CO., LTD.
Rhein-Main Solutions is specialized in custom software development and consulting, meeting the business needs of their clients. Being competitive today means to react flexibly to changes and to shape workflows individually. Standard software solutions do not always meet all the requirements that an individual business process entails. To close gaps in the business processes, we help you with individual software development. Together with you we find ways to adapt your existing solutions as well as to optimize the business processes with new developments. ICZ a.s. is a significant supplier of information technology and a systems integrator – offers a wide range of services ranging from consultancy through to supplies of information systems and the provision of full network administration. The company provides supplies in the areas of application software, security and infrastructure, especially for the public sector, healthcare, defence, transport, finance, production, logistics, telecommunications and power engineering. The ICZ Group is also active outside the Czech Republic in Slovakia, Ukraine, the United Arab Emirates, Bosnia and Herzegovina and other countries. Sberbank-Service is the largest service provider company of federal significance in Russia, rendering a wide range of complex technical support services for information and telecommunication equipment, workplaces, office equipment, servers and telephony. Company’s team comprises of 5 930 highly skilled engineers, programmers and managers, serving more than 10 000 customer offices throughout Russia. The main task of Sberbank-Service is to continuously improve the service management system, in order to provide high-quality and timely service to their customers. SCSK Creates new value and supports businesses’global development with a full range of IT-related services. IT Management Group provides its our customers with construction and operation of customer-owned IT system infrastructure as well as management of data centers that store customer data. secadm is an IT Security and Development specialist with a team of highly experienced IT professionals, offering custom-built IT solutions to the customers in Europe, Asia and the USA. With years of experience in IT Security and Healthcare areas, secadm focuses on data security, documentation, process optimization and security management. The company uses Zabbix to continuously monitor a large number of KPIs internally as well as to offer Zabbix Monitoring Solution to their customers to ensure business continuity and to provide control and visibility to the IT infrastructure. Sedam IT is a leading Croatian provider of IT & Communications solutions and services since 2003. By optimizing business processes and providing support with decision-making and management, Sedam IT provides its users with the means to achieve their business goals and gain returns on their investments. Company's portfolio covers entire ICT spectrum: from infrastructure to optimization and business development solutions. Sedam IT is especially proud of its solutions, developed to achieve each of their client's specific goals accomplished by years of experience and knowledge provided with more than 100 experts in Sedam IT. Serverworks Co., Ltd. is cloud integrator specialized for AWS and providing AWS installation support service from 2008. They install AWS for more than 180 companies. Then company joined AWS Solution Provider in 2011 and “Advanced Consulting Partner” in APN(AWS Partner Network) in 2012. Servionica (a subsidiary of I-Teco, the leader of the Russian IT industry) is a leading Russian provider of cloud solutions, outsourcing services, IaaS and SaaS services based on the resources of "TrustInfo" – the 2nd biggest commercial data-center in Russia. Servionica`s portfolio includes over 60 services allowing its customers to develop their business with optimum investments into their IT-infrastructure. The Company also runs "LogiCall", one of the biggest Russian outsourcing call-centers (rated by RBC Analytics). Servionica’s partner network includes more than 170 companies in 83 regions of the Russian Federation. Located in Shanghai, Pinyi is one of the leading high-tech companies in IT service management (ITSM/ITIL) field within China, dedicated to offer overall services including ITIL training, technological consultancy, service flow design and optimization, as well as implementation and deployment. By far, Pinyi has offered brilliant service to customers in a vast range of industries: Finance, Telecommunications, Manufacturing, Internet and Government. Sielte was founded in 1925 in Genoa as an Italian Ericsson Telephone System Company. Today it has ninety years of experience in the fields of Telecommunications, Technology Systems for Transport & Infrastructures and ICT Services oriented to Cloud Computing. A group with a total turnover of over 400 million Euros is now recognized on the market as one of the major Italian partners with whom to undertake major integration projects, representing a company operating throughout Italy with 30 offices in Italy and around 20 abroad. With its headquarter in Catania and the General Management in Rome, Sielte has a registered capital of 28 million euros, a team of over 3,000 people, constantly engaged in important certification and specialization courses. Attention is given to the training of young resources acquired in recent years, through targeted training projects with the aim of improving know-how and skills to offer highly qualified System Engineers, Team Leaders and Project Managers certified for the use of standard and international methodologies. Sielte is widely present throughout the national territory, having its own operational centers. All the operational centers are manned from Monday to Friday, by specialized and appropriately trained personnel. All services are active for ordinary activities from 07:00 to 18:00. For assistance services with SLA 24x7 a technical team is always available with guaranteed availability. In all the operational centers, there are teams specialized in the management of data network systems, VoIP, telecommunication systems and all the main IT tools for productivity; In San Gregorio di Catania, Rome and Milano offices the system support teams also work on server, storage and application systems. The skills guaranteed by all the support teams range over the entire area of the above-mentioned technological partnerships of the bidder. Sielte has 18 main warehouses located throughout the country for a total of 90,000 square meters of which 19,000 square meters of covered area and 71,000 square meters of uncovered surface. 70% of the total areas are committed to the storage of goods owned by clients. Sky365 is a Managed Service Provider with 24/7, jointly established by TerraSky and ServerWorks that are highly specialized companies in the field of Cloud Computing. In this age of the Cloud, We support your business with our technical expertise. Zabbix is a monitoring tool we mainly adopt. We have extensive know-how for Zabbix thus we can provide Zabbix server construction and technical consulting. Being successful in business for 87 years, Smartvalue provides a broad array of cloud services employing scalable solutions, resources and services to meet the needs of its users. Smartvalue has been successful in mobility, safety and security domains for many years, and continues to evolve by offering innovative and practical cloud services, to supply their clients with outstanding customer-support services and solutions for disaster and crime prevention, traffic accident reduction and many others, intended for improvement of social issues with the help of technology. Soitron s.r.o. is a member of SOITRON Group SE operating in six countries: Slovakia, Czech Republic, Romania, Turkey, Bulgaria and the United Kingdom. Soitron is an active system integrator in the European market, providing solutions in the areas of IT Infrastructure, Unified Communications, Customer Interaction, Content Management, Security, IT Services and Outsourcing. Soitron specializes in providing monitoring solutions in the form of a service and often also helps its customers with migrations from licensed solutions to Open Source based. Company also specializes in custom based development of Templates and Solutions for Zabbix platform based on individual customer needs. BGT’s flexible approach satisfies the unique requirements and is highly appreciated by private companies as well as governmental and public institutions. Systena Corporation　provides ‘System monitoring automation services’ - total support starting from deployment of system monitoring services to its monitoring operation, using the knowledge of Zabbix and platform design. Based in Nihonbashi Tokyo, TBC Inc. has provided the latest development and operational IT technology to its client companies since its establishment in 1982. We are supported by representative Japanese companies such as traditional industry, financial industry, or the latest FinTech field. TBC Inc. will pursue new technologies, blend tradition and technology, and will contribute to the satisfaction of stakeholders through the development of client companies and IT. TechnoPro, Inc. TechnoPro Engineering Company, one of the largest technical services firms in Japan, provides services to many customers including listed companies, such as major automobile manufacturers, major manufacturers, information and communication companies that require cutting-edge IT technology, public and private research organizations that continue to challenge unknown areas, public companies, etc. With knowledge accumulated for more than half a century, we continue to challenge the latest IT technology field (cloud / virtualization / hyper-converged infrastructure etc. ), as well as supporting existing technology in order to create new value for clients. Our engineering organization provides customers optimal technology that meets the needs and high quality standards to solve their problems in all processes such as planning, proposal, design, development and maintenance. TIS Inc. is one of the companies in IT holdings group that provides system integration, customized development, as well as numerous SaaS like datacenter and cloud. In addition, TIS has global support system with a central focus on China and ASEAN. TIS Inc. promotes OSS utilization which aims to adopt OSS to mission critical system in the enterprise area, and to realize optimal system　configuration　demanded in the cloud area. The company systematizes its knowledge to utilize OSS as "ISHIGAKI Template" and chose Zabbix for the monitoring and operational part of "ISHIGAKI Template". As a business partner of more than 3000 companies in various industries, including finance, manufacturing, distribution, service, public utilities and communications, TIS is continually contributing to the growth of our customers’ business. - Data center G50 operator. Ukrcom LLC performs complex projects in the field of IT and telecom networks. The company develops and designs solutions, supplies equipment and software, carries out testing and deployment, support and post-warranty maintenance of equipment and networks. UNIRITA Inc., an independent company, develops, sells, and supports package software for operations management. BSP provides a wide range of IT services. Its main products are A-AUTO, a system for managing batch and job scheduling that has been sold for more than 30 years, and LMIS (Lifecycle Management for IT service), a concept of IT service based on ITIL. VINX CORP provides system integration and operation services to the distribution and retail industry additionally providing IBMi Operation Management packages to their customers. Now being a Zabbix Certified Parter VINX has created an Operation Monitoring package offering operation and integration services including official Zabbix technical support. Integrated Monitoring Viewer solution allows the clients of VINX to carry out a trouble-free integration and operation cost reduction without the need to change the existing infrastructure. Xifeo ICT B.V. is a Dutch consultancy services company that delivers consultancy to a variety of customers with a complex ICT environment. All company’s consultants have more than ten years of experience in this area. Xifeo ICT designs, deploys and supports complex ICT environments based on Linux or Windows. Since the establishment in 1969, YEC Solutions, Inc. has been providing a wide range of effective, secure and high-quality services ranging from consulting services for ICT utilization, system building and operation services, development of industrial software, ASP services that provide in-house iDC and BPOs to local governments and private companies throughout the whole country. Zero Networks,Inc. provides network specialized services such as system design, development, implementation, support and consulting. It delivers monitoring solution proposal using Zabbix with it policy "responding flexibly to customer demand". Zhengzhou Jinguantongli Electronic Technology Co., Ltd.
Zhengzhou Jinguantongli Electronic Technology Co., Ltd. is a software enterprise recognized by Henan Software Association. The company focuses on IBM hardware, software, consulting, service and virtualization, Aliyun, Huaweicloud, system operation and maintenance as the core. The qualifications obtained by the company are as follows: three Level Certificate of CMMI, ISO20000，ISO27001, three Level Certificate of Information System Business Security Services, two Level Certificate of Computer Information System Integration and Services, high-tech enterprises, etc. With the help of accurate market positioning, adhering to the overall customer orientation, technology-driven, service-oriented business philosophy, the company has successfully provided overall solutions and comprehensive technical services for customers in finance, tobacco, medical, manufacturing and other industries. The Add Solution is a company focused on the development of information technology solutions, with the exceptional quality of services offered. We specialize in design and management of infrastructure Linux and Unix systems. Our team has years of experience implementing development projects for large corporations. Ahlane Technologies is a consulting and technology company based in Rabat, Morocco with another location at Casablanca, Morocco. The company brings together experts in the field of web and cloud technologies who participate in the dissemination of these technologies to companies and the public sector. Ahlane Technologies offers to support its customers in the definition, design and implementation of secure and efficient technical architectures based on Web / Cloud technologies. Ahlane Technologies helps its customers monitor and improve their infrastructure through supervision, especially with the Zabbix solution. Ahlane Technologies aims for efficiency and technological excellence, all in a spirit of innovation and sharing. The customer relationship is based on professionalism, dynamism and flexibility. Ahlane Technologies is open to all technologies that effectively meet the needs of its customers. Ahlane Technologies has a technology intelligence permanent to identify emerging technologies and study the possibilities of their implementation for its customers. Provider of Managed Services for Information Technology and Remote Monitoring Security solutions with a portfolio of over 200 customers from medium and large companies and more than 12 years in the information security market, the Alerta security Solutions became a MSSP (Manage Security Services Provider) covering the entire security infrastructure and networks with extreme speed efficiency and assertiveness. Baltijas Informācijas Tehnoloģijas, Ltd. (BIT) is one of the leading IT companies in Latvia, established in 1992. Our business scope includes main IT industry fields, especially concentrating on complex IT infrastructure projects, integration and support. Company is highly competitive with serious experience in secured and approved IT projects. By our close cooperation with many vendors we offer high quality solutions for our customer needs. Deliberative long-term strategy, successful partner choice, qualified employees at all levels, elastic approach to each individual customer, all these are our main values in a way to successful company. Beijing Henghui Xinda technology Co.,Ltd. 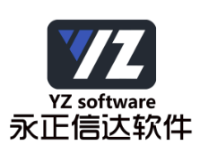 Beijing Yongzheng Xinda Software Technology Co., Ltd.
Beijing Yongzheng Xinda Software Technology Co., Ltd. is a high-tech enterprise certified by the Beijing Municipal Science & Technology Commission. Holding the ISO9000 certificate, it is mainly engaged in enterprise information technology and management consulting, development & application of information construction software, overall solution and system integration of IT information management and network management. The company also provides value added services such as consulting, implementation based on internationally renowned hardware and software products of IT vendors such as IBM, Oracle, VMware, Symantec, EMC, DELL, CommVault, etc. With its engineers, experienced in development and integration support, BirdWorks meets customers needs and provides optimal and realistic system, which brings new hope. The company offers Zabbix as a monitoring solution to maintain stable system operation. BlueDot Technology is an end-to-end managed services company providing infrastructure support and monitoring, automation, private and public cloud services, business continuity, and security. With expertise in VMware, Oracle VM, Operating Systems, Storage, Networking, and a number of other technologies, both open and closed source, the company offers enterprise level services for design, implementation, and management for our clients. BNC with over 10 years of experience and a team of excellent system engineers provides a wide product range, whether networking, security, data management or ICT infrastructure. BNC stands for IT infrastructures and data centres implemented in a customer specific and cost-efficient fashion. Always with the goal of enabling the customers to do their jobs better, faster and at lower cost. With BNC you get the full service and solution portfolio from a single source. Having more than 7 years of experience, BSM Consultoria specializes in management of infrastructure and applications’ components that support critical business services of the organizations. “Becoming the partner of Zabbix, we will now be able to offer our clients a high-quality resource-efficient tool that can monitor and correlate events on large IT platforms, benefiting from professional support and elimination of downtime”. Custos is a group of professionals with over 5 years of experience in real time information systems monitoring at international level, providing service quality indicators throughout the Uruguay. We focus in assuring continuous and right performance of hardware and software installed on our client’s data centers, detecting degradation or failures of services and facilities. We offer custom reports according to the client’s requirements about recurrent problems, average failures time, issues prevention and advices to avoid them. 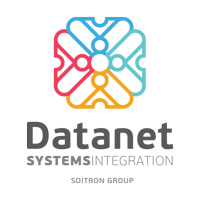 Datanet Systems was founded in 1998, and in 2009 became part of Soitron Group. Datanet stands out as one of the most important Romanian integrators of complex IT solutions, does the largest share of Cisco business and has the largest team of Cisco certified specialists in Romania. In 2016 Datanet won the award “Cisco Enterprise Partner of the Year” for EMEAR region. Datanet also developed business partnerships with market leading suppliers such as EMC, VMware, F5, Fortinet, FireEye, Certes Networks, Aruba. Datanet provides a competitive portfolio of solutions for communication infrastructure, data center infrastructure, unified communications, contact center, information security. For over a decade ESKOM has been providing IT services and IT hardware solutions to numerous clients in Poland. Our biggest asset is professional team of engineers and dedicated consultants working 24/7. Our engineers possess appropriate qualifications and experience to implement the software developed by Zabbix for the purposes of enterprises of various sizes, consequently allowing constant monitoring of the networks, servers and each and every other device in an enterprise. The service consists in constant monitoring and control over your IT infrastructure and taking adequate steps should events disturbing proper system operation occur. The monitoring may cover all aspects of your system operation, which may be inspected automatically- from power availability levels to business process verification. We deliver IT monitoring services as an outsourced service or we can implement Zabbix and all necessary processes within any company. Depending on expectations and resources, our specialists are able to propose an optimal concept, technological approach and groups of solutions, among which we distinguish: responsive monitoring, proactive monitoring and analytical monitoring. Our experience is proven by many certificates (ISO/IEC 27001:2013, PN-EN ISO 9001:2015) and technological partnerships e.g. : HPE Platinum Partner, Red Hat Premier Business Partner. The Zabbix software is a response to the challenges of contemporary IT, as it allows for virtually unlimited collection of data from the network. High efficiency of real time monitoring makes it possible to supervise even tens of thousands virtual machine servers and network devices at the same time. Due to automatized and programmable operations, the service is simple, regardless of the scale of supervised infrastructure. At ESKOM we have been using and implementing Zabbix monitoring for over a decade, providing our Customers the best in class service. Now with the official Zabbix partnership status - Reseller - we can offer more to our Customers. This software is a great addition to other tools that we use as a trusted IT outsourcing partner. GRYTEC Inteligencia en Tecnologia are a group of professionals with the capacity and experience to offer IT consulting for its customers by helping them to select the software, equipment and components that best satisfy their needs and contribute to increased productivity. The scope of their services includes IT outsourcing, technical support, IT environment troubleshooting, developing network security guidelines, and many more. Guangzhou 91 Lewei Information Technology Co., Ltd.
Guangzhou 91 Lewei Information Technology Co., Ltd., referred to as Lewei, is a high-tech software company specializing in the R&D, sales, consulting and service of IT transportation and maintenance management products. Lewei is committed to becoming a high-tech enterprise oriented by technology, products and services. The company owns a number of national software copyright registration certificates and a national technology patent for Lewei's surveillance products. Lewei is also a member company of Guangdong Software Association, and offers professional operation and maintenance monitoring products, in order to provide the most customized service, quickly match IT management needs with business development, help customers solve transportation problems, and assist customers to add value. At this stage, Lewei\’s products and services are widely used among operators, education, fashion, finance, real estate and other industries, presenting success cases in more than 50 large companies. 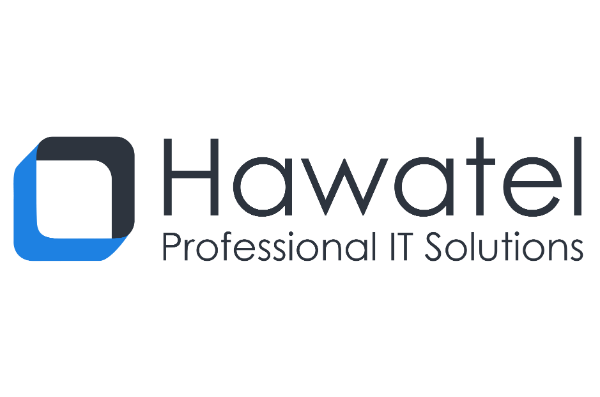 Hawatel delivers professional IT monitoring, infrastructure management, and custom software development services. The company's strength is a team of specialists that participated in IT projects for the biggest organizations in Poland. Hawatel apply their industry-adopted, best-practices approach during each activity in their customers' environment. Over the years, Hawatel has been providing IT monitoring services based on Zabbix and commercial solutions. Their experienced consultants and engineers implement projects on every scale of the monitored environment. Hawatel can prepare the concept of the monitoring approach and apply it to your organization. Hawatel team also specialises in the migration process of commercial solutions like HP Operations Manager, IBM Tivoli Monitoring, MS SCOM, and Op5 to the Zabbix platform. The company performs integration with third systems, e.g., event synchronisation with the central system, non-standard notifications, and transfer of monitoring metrics to another system. Hawatel creates support tools and dedicated monitoring scripts that work in the Zabbix solution. Ide Teknoloji Muhendislik ve Danısmanlık Ltd. Sti. İde Teknoloji Mühendislik ve Danışmanlık Ltd. Şti. is a consultancy company located in Turkey, founded in 2004. Main focus and expertise of İde Teknoloji is in Finance and Telco sectors, moreover the company specializes in ITIL-based IT process design and implementation as well as IT service management and monitoring systems to reduce impact of failures to critical business functions. As a unique system integrator, Insitu specializes in the design, implementation and maintenance of highly complex communications and information systems, with monitoring being an essential part of any large-scale deployment. IT consultores is a highly experienced team with an exceptional knowledge and capability to analyze business processes and deliver value added solutions. 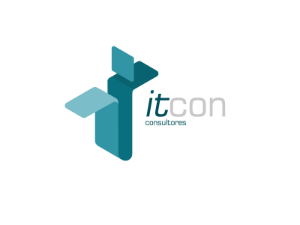 IT consultores focuses on the simplification and improvement of the business processes. The Company guarantees process traceability and improved operating efficiency, while supporting cost reduction and facilatates data gathering used in strategic decision making. ITGStore specializes in IT infrastructure administration, storage, Data & Information problematics, systems and applications, fault & performance management. ITGStore is able to handle all the issues tied to IT projects, that includes: consultancy, study of the solution with a short-term ROI, implementation of the solution in terms of integration, project management and documentation, support and managed services. 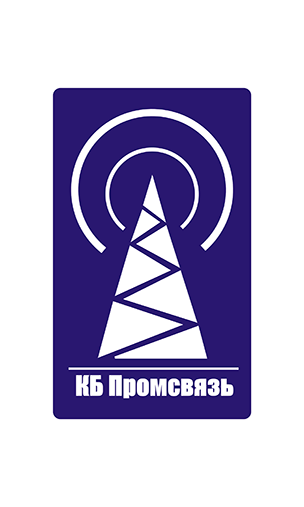 KB PROMSVYAZ, LLC designs and manufactures equipment for television and radio broadcasting, telemechanic and communication systems, solutions for data collection and automation of management and business processes. "We also provide consulting and system integration services. Among our partners and clients are medium and large enterprises, representing different countries. Our company also promotes the use of open standards and open-source software". LogicalTIC is a Belgian company, with the key focus on consulting and advisory services, local IT support, public and private cloud, private datacenter infrastructure and network security. The company has a well-rounded and trained team of specialists, who work 24x7 to provide the first-rate advice and integration. “LogicalTIC has decided to become a Zabbix partner after more than 4 years of experience with the product. We think that Zabbix is a very flexible monitoring solution and it helps us to maintain all our infrastructures on a day-to-day basis as well as to provide the best possible services to our customers”. The company offers all infrastructure of networking, servers and integrated systems solutions for storage and data security, its design, and consultancy in these and related areas of ICT. Among other things, it includes the protection and security of information. The company provides global services to selected manufacturers of IT technology, which goes far beyond the Czech Republic. The group of MHM companies is comprised of companies MHM computer Inc., MHM computer Slovakia s.r.o. and MHM computer Hungária Kft. These companies generally have very similar activities and therefore, in many cases, use and share their resources. This way of cooperation has many benefits, especially for the customers, as the experts, who are involved in solving their problems are not just from their respected countries, but the best from the Central European region. Mikrotik Warsaw Training Center is the leading training center located in Poland. The company provides high-level expertise in: telecommunication, IT infrastructure deployments, IP network architecture, IT systems monitoring. In addition to the training business, Mikrotik Warsaw Training Center delivers state-of-the-art solutions in various areas including communication & network management services, system integrations, complex network design. Over the years the company worked with over 200 customers: service providers, system integrators, healthcare, finance, public services, small and medium size businesses. 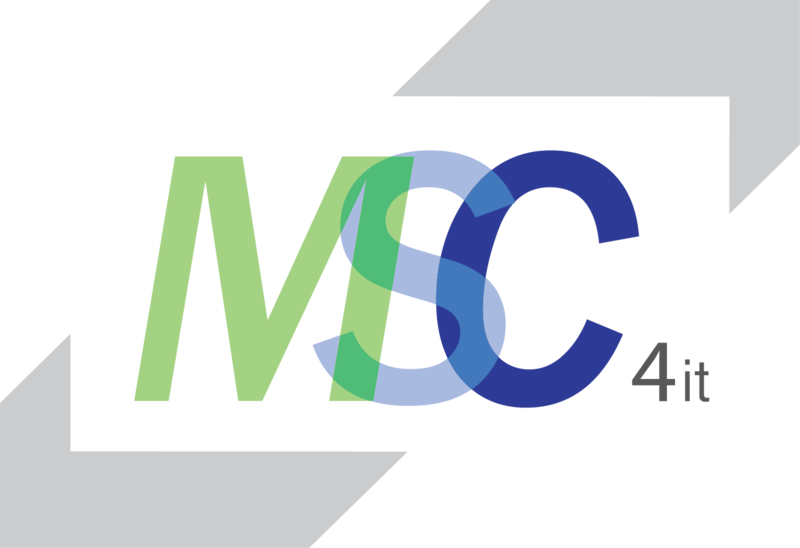 MSC4IT offers professional consulting and advisory services in order to help their clients to overcome challenges of the digital era they are facing and ensure the end customer receives meaningful user experience. NEX4 is an information and communications technology company from Myanmar, specialized in storage and information security. The aim of NEX4 is to help their clients deal with any challenges arising with new technologies, ensuring cutting edge services and consulting in hybrid cloud, managed services, networking, security, IP telephony, big data, and data centers. The company works with global leading technology companies to create solutions that strengthen security, fulfil business requirements and improve business operations. Whether it is about the design and implementation of computer networks, or a solution based on Linux operating systems, Nimium strives to be the best. Nimium team listens to the demands and needs of customers and provides them with the optimal solutions and the highest quality services. Nimium is also a Red Hat Premier Business, EnterpriseDB and Zimbra partner in Croatia, and offers years of experience in implementation of demanding projects. One Cloud Company Limited is one of IT and Networking Solutions Providers in Myanmar, offering high quality IT and Network Solutions, IP Network Designs and System Integration, building reliable Network Infrastructures, Data Management and Security, Network Service Outsourcing, Data Center and Virtualization Solutions. One Cloud is also committed to building lasting relationships and will go the extra miles in ensuring continuous support and upgrading for your network environment. Open-Future is the Belgian competence center for everything covered by "Linux & Open Source" and is driven by a team of highly motivated Linux guru’s. Open­Future focuses on open source based infrastructure, using the strength of Open Source to make the integration of our proposed solution work seamlessly with existing setups. Although Linux is a cornerstone in an Open Source based infrastructure, Open-­Future goes beyond the OS, looking at the vast horizon Open­Source is offering. The core business of Opensource ICT Solutions is to provide customers with Zabbix training and consultancy as well various other opensource software solutions, thinking mainly of Linux support. Having their own Zabbix Certified Trainer, company is providing Zabbix training courses to their customers as well. With over 4 years of experience in the networking world (Cisco/Juniper), Opensource ICT Solutions is also able to help their customers on various network-related questions. The core business of Opensource ICT Solutions is to provide customers with Zabbix training and consultancy as well various other opensource software solutions, thinking mainly of Linux support. Having their own Zabbix Certified Trainer, company is providing Zabbix training courses to their customers as well. Having a lot of experience with Zabbix in both small and large HA environments, Opensource ICT Solutions LLC is capable of handling all Zabbix related matters. Piros NV is a long lasting Open Source solution provider. With a heritage spanning three decades, company covers a broad Open Source product portfolio- from web-application development to system administration, mobile development, storage and cloud hosting solutions. 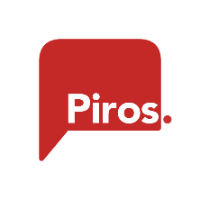 Piros NV can help and is your partner of choice when it comes to adopting Open-Source technology and is always looking to extend its Open Source product portfolio based on market demand. Plat’Home serves customer needs completely from helping to introduce the Zabbix solution included in Zabbix Enterprise Appliance to operation after introduction. 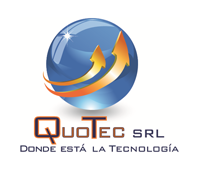 Quotec Srl. provides consulting services in such IT areas as computer science, data control and security systems, as well as recruitment, selection and management of personnel. Since the founding of the company in 2012, the main objective has always been the satisfaction of their customers. Quotec Srl. is capable of providing experience, knowledge and solutions to their customers by collaborating with other recognized software solutions such as G-Data antimalware suite, which is an award-winning antivirus security solution. ranryu Co., Ltd., as an independent system integrator, provides system integration services for all types of infrastructure, regardless of web infrastructure or business system, to a wide range of industries. Zabbix supports one-stop support for many customers, including design, installation, customization, operation and maintenance support, regardless of on-premises environment or cloud environment.Based on the results so far, we also provide operation monitoring services using Zabbix in our cloud environment.If you are thinking of installing Zabbix for the first time, our system engineer will carefully respond to the installation method.Please feel free to contact us.We will provide the best solution for your environment and needs. Sadid Afarin Company (SACO) operates in information security market and delivers open source professional solutions and services. SACO provides a list of security and open source services such as consulting, planning and implementing solutions for a wide range of customers, including financial institutions (banks and insurance companies), IT companies (telecommunications), IT development companies, government, public institutions, education and research organizations, medical-related organizations, general consumers, etc. 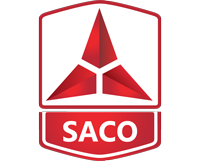 SACO specialists have experience in Zabbix solution design, integration and administration in large environments. Service provision is not bound by location; apart from meetings in person company specialists are used to work remotely. SACO understands – response time matters much more than geographic proximity. Since the establishment in 2002, Scentec provides alternative IT solutions to meet needs of clients of different market sectors. Company’s goal is to provide services to increase strategic value of IT of its clients to make them leaders in their fields. Scott/Tiger A/S is a Danish IT consultancy company founded in 2003. The company covers all phases of IT projects - from Project Management, IT Development and Licenses till Test and Test Management, Database Administration and Hosting. They call it their 360 degree IT Service. With their consultant database Scott/Tiger A/S can deliver almost any type of skilled resource to an IT project. Having been operated in the Czech market for more than 25 years, Servodata has become one of the leading companies in the field of providing professional business IT Solutions. The company has established competence in segments of Business Portals, Project and IT Management, Business Process Management, Customer Care and Business Intelligence. Servodata is a leading license provider on the Czech market and provides subscriptions for open-source solutions. The company also offers a proposed solution, installation and support for IT hardware. Shanghai HFTECH Networks Co., Ltd.
Shanghai HFTECH Networks Co., Ltd., established in 2010, is a company specialized in Internet industry and delivering professional services for customers around China. Business characteristics of Shanghai HFTECH Networks Co., Ltd. is providing customers all kinds of hardware integration services, including several mainstream equipment manufacturers within China and abroad, as well as production solutions, on-site services, and remote support etc. Company also have demo devices for products from different providers for enterprise environment simulation. Sichuan Sintopan Information Technology Co., Ltd.
SINTOPAN, a leading-edge provider of enterprise IT infrastructure and operations (I&O) management solutions, is focusing on developing integrated IT I&O management systems and empowering customers on their journey of IT I&O transformation. Sintopan helps customers in various industries with customized solutions to establish a service-oriented and proactive IT I&O management system. System Support Inc. provides system integration services with a focus on the original Cloud Kobo brand, which contains services utilizing AWS (Amazon Web Service). The strength of the company is the technical area such as Oracle database, LAMP and monitoring utilizing Zabbix and the company has a lot of results in the area. ICT Monitoring and Support Operations Systems. With more than 300 professionals, Tecsidel have offices in Spain (Barcelona, Madrid and Valladolid) Argentina, Brazil, Chile, India, Mexico and Norway. Tecsidel builds IT solutions, based on company’s own software, other suppliers’ software or Open Source and then delivers turn-key projects to the clients. Company’s main characteristics are: specialization, expertise, alignment with client objectives and flexibility. Founded in March 2002, Universal-PC Technology Development is a professional, customer-oriented company focus on information system integration. We provide customers with effective and reliable solutions and application platform architecture. Up to now, our company has established good partnership with many famous foreign IT manufactures. Voculus Sdn Bhd specializes in systems management and infrastructure monitoring. The company offers a wide range of ICT solutions to their customers, addressing their business requirements with best of breed technologies. Voculus has strong roots in open source systems and is able to provide consulting, implementation and support services for commercial and free open source products. The company provides their customers with solutions with the most optimal balance of technology and cost, working with technology partners from around the world. Zavatec IT Services and Consulting provides IT Solutions in Argentina with special focus on Server and Storage Management. Zabbix system provides their customers with an integrated and intelligent monitoring platform. The company has more than 8 years of experience providing IT managed services to cover Systems Management and Monitoring, including servers, disk and tape storage, OS, VM, DB, network and middle-ware. Zavatec has experience in different industries like finance, energy, health and telcos. 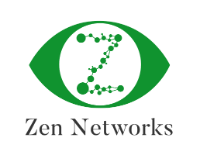 Zen Networks is a monitoring and telecommunications expert company, having extensive experience in deploying highly scalable and geo-redundant monitoring solutions for their customers, as well as creating advanced monitoring modules adapted to their needs. Due to the synergy between company's DevOps and monitoring experts, Zen Networks is able to secure efficient monitoring which is adapted it to the business applications of their customers. Fujitsu is the leading Japanese information and communication technology (ICT). providing solutions that suit every customers needs by combining outstanding hardware, such as Fujitsu Primergy, a high-performance and high-reliability server; Fujitsu Software Systemwalker, consolidated operation management software and Zabbix – contributing to the improvement of ICT systems and giving our clients a competitive advantage.